Filtrex is also the Irish agent for Hocker Polytechnik. 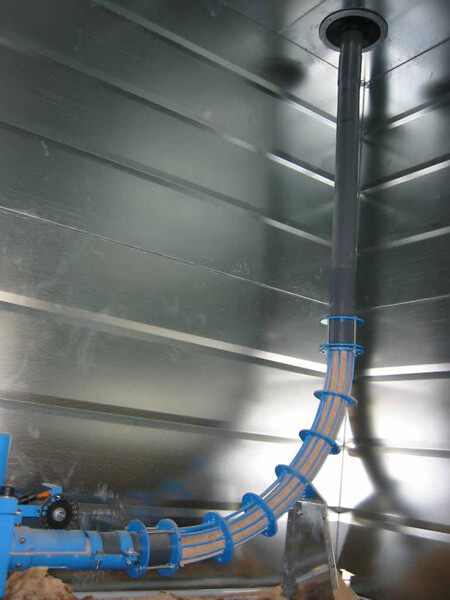 Based in Hilter, Germany, Höcker Polytechnik designs and builds vacuum systems, pneumatic waste extraction systems and hydraulic briquetting presses. With the global experience of over 1000 briquetting press and more than 40 years of plant engineering, Höcker Polytechnik can provide a briquetteing solution in the small to medium scale. Briquetting is a process where the chosen raw material is compressed under high pressure. With a Neilsen mechanical briquetting press this pressure is in excess on 30,000PSI. If the raw material is wood, straw, miscanthus, the natural lignin content is liberated under this pressure thus binding the material into a briquette. The high pressure during the briquetting generates a temperature increase up to 140degC as it exits the die head causing the moisture in the raw material to evaporate. High moisture contents should be avoided as steam pockets may build up during this process thus leading to expansion which will damage the finished briquette. 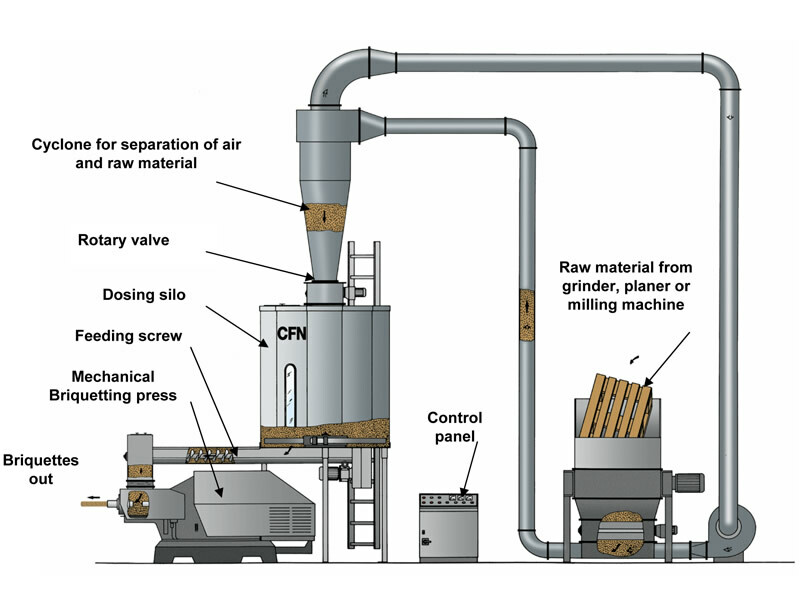 CF Nielsen manufacture a range of Mechanical & Hydraulic briquetting presses. Hocker Polytechnik manufacture solely hydraulic presses.Hydraulic briquette presses are designed for small to medium quantities from 20kg – 400kg per hour. Typical applications are in areas where there waste material is briquetted to save on landfill charges. Small hydraulic presses are only designed for operating a maximum of 7 hours per day. Filtrex has supplied a large number of these systems with clients such as Blanchardstown Institute of Technology. Mechanical Presses are designed for commercial industrial manufacture of briquettes in quantities ranging from 225kg – 1.6tons per hour. A Mechanical press designed for 5,000 -10,000 tons per year can operate 24/7 with minimal downtime and maintenance. The Nielsen BP5500, as used on a number of installations in Ireland, weighs 6 tons and has two flywheels totaling 1.5 tons running off an efficient 55kW motor and can produce up to 1.4tons per hour on continuous use. 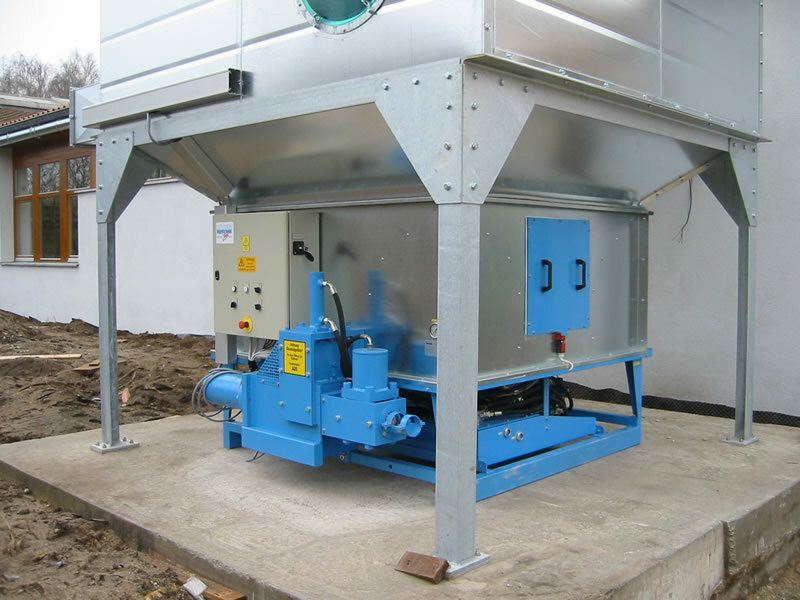 The HD version allows for high abrasive dirt content in the raw material.Filtrex does not supply screw compression straw briquetting machines as we believe they cannot provide the throughput or reliability required for a viable production plant. 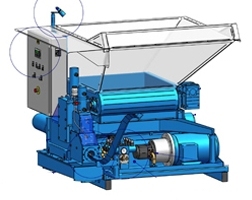 For compacting wood waste and paper waste for disposal or recycling.Filtrex are agents for briquette machines from German manufacturer, Hocker Polytechnik and Danish manufacturer C. F. Nielsen depending on the volume of material our customer has. 30 kg / hour – 150 kg/ hour machines, we recommend Hocker Brikstar. 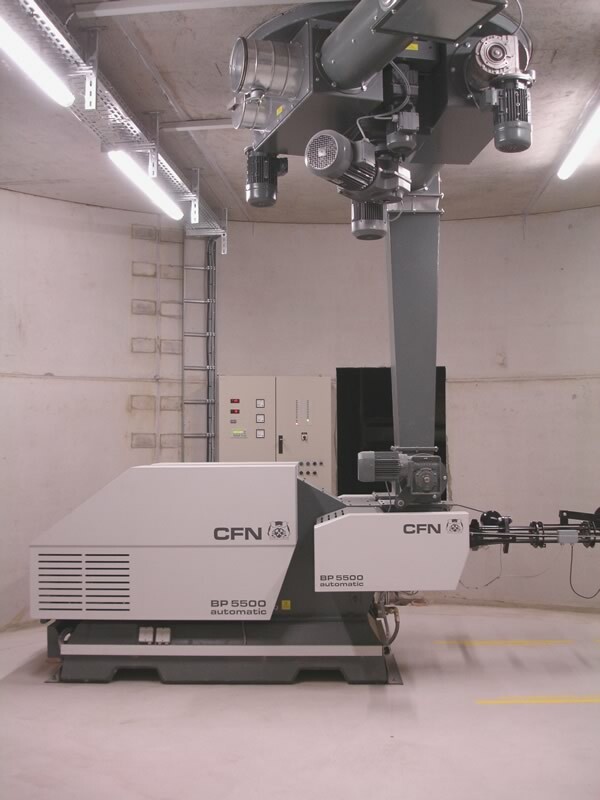 150 kg / hour – 2000 kg/ hour machines, we recommend C. F. Nielsen.